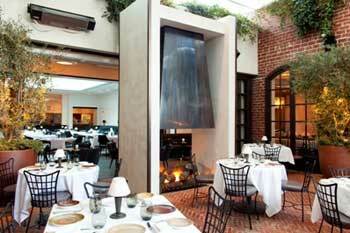 Patio dining at Spago Beverly Hills. Spago has been wowing the taste-buds of fashionable foodies for more than 30 years, while also serving up the very definition of California cuisine. 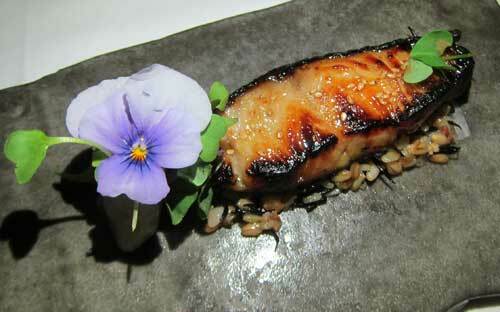 Nowhere is this more apparent than with the restaurant’s new eight-course tasting menu. The monthly menu offers expertly sourced elements from California’s farms, ranches and waters that Chef de Cuisine, Tetsu Yahagi and Executive Chef, Lee Hefter finesse into appetite-arousing creations. Highlights of the eight-course menu include Santa Barbara sea urchin layered with homemade tofu topped with black truffles; shiro-marinated Pacific black cod served over a six-grain rice salad; bincho-grilled Carpenter’s ranch squab served with mitake mushrooms; and more. The menu is accompanied by two possible wine pairings from Sommelier, Phillip Dunn; one strictly made up from California selections ($65/pp) or the sommelier selection ($105/pp) which can encompass wines from around the world. 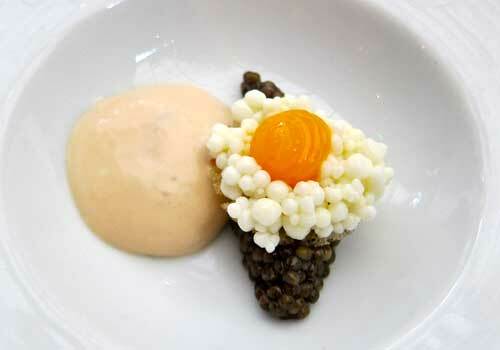 Sterling Farm’s white sturgeon caviar with a “sunnyside up egg” rye crisp and potato espuma. 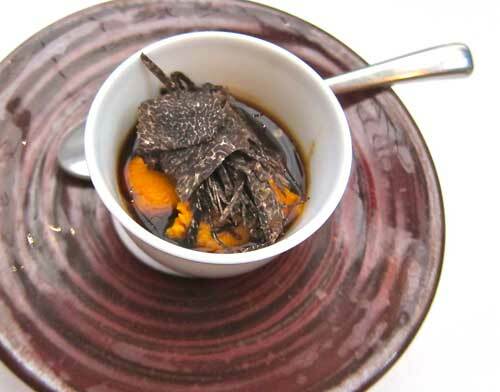 Santa Barbara sea urchin layered with homemade tofu topped with black truffles. 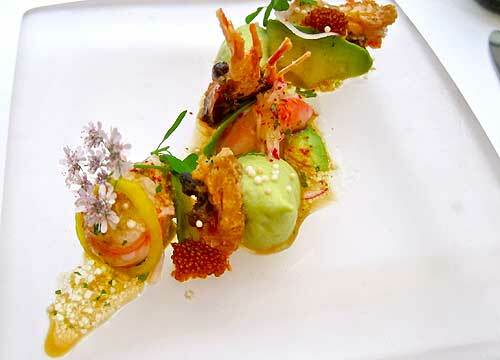 Santa Barbara spot prawn with avocado-wasabi mousse, cilantro blossoms, and ceviche dressing. 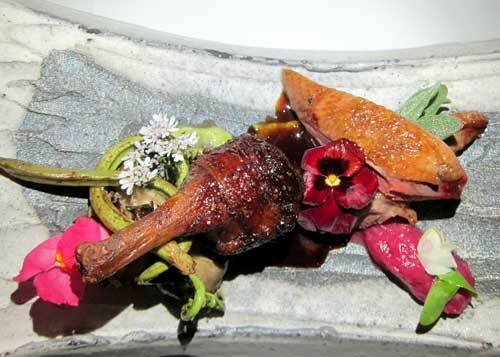 Bincho-grilled Carpenter’s ranch squab served with mitake mushrooms. 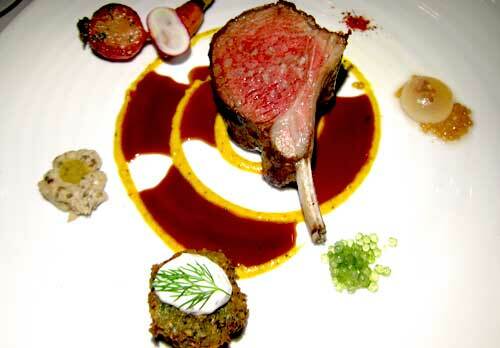 Sonoma lamb rack smoked with local rabbit tobacco with Jamie Farm’s baby carrots and radishes.